Hacktivism is the practice of gaining unauthorized access to a computer system and carrying out various disruptive actions as a means of achieving political or social goals. Or you May also Say that Hacktivism is the act of hacking a website or computer network in an effort to convey a social or political message. The person who carries out the act of hacktivism is known as a hacktivist. It Formed by combining “hack” with “activism. Hacktivists (people involved in these efforts) usually aren’t after financial gains; instead, they are looking to make a statement of some kind. The primary purpose behind it is hacking for a cause; instead of civil disobedience, it is digital disruption using the Internet as a crucial foundational tool to carry their message all over the world. cybercriminals who hack into computer networks to steal data for the cash, most hacktivists aren’t doing it for the dollars. They’re individuals or groups of hackers who band together and see themselves as fighting injustice. hacktivist performs the same kinds of disruptive actions (such as a DDoS attack) in order to draw attention to a cause. A hacktivist uses the same tools and techniques as a hacker. Depending on who is using the term, hacktivism can be a politically motivated technology hack, a constructive form of anarchic civil disobedience, or an undefined anti-systemic gesture. It can signal anticapitalist or political protest; it can denote anti-spam activists, security experts, or open source advocates. Hacktivism and hacktivists are motivated by an active desire to cripple government control and censorship of electronic and Web technologies and content. As such, It may be employed by those opposing rigorous copyright regulations or fervently interested in circumventing restricted electronic data. Hacktivism has its roots in the early days of the internet when hackers primarily congregated on Usenet and message boards. Many of these early hackers were motivated by idealism, with a general tendency towards left-wing, anti-capitalist, anti-corporate viewpoints. 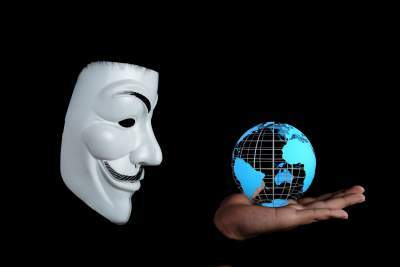 Modern hacktivism, however, has been defined mainly by the group known as ‘Anonymous’. First emerging in the early 2000s. The simplest answer is it can be seen as good or bad, depending on what side you might be landing on. Many people might confuse hacktivism with cyberterrorism. Cyberterrorism aims to cause severe harm (such as bodily casualties and/or financial damages). But Hacktivism aims to raise awareness around a particular issue. Like most weapons, hacking can be used for good or bad, to defend freedom or attack it. Perhaps only time will tell whether hacktivism earns a reputation for net detriment or net benefit. Some Common Types of Hacktivism?